One of my most favorite places is a beach on the northern end of Anna Maria Island. We visit several times a year and each evening, The Professor and I pack up a bottle of wine and our chairs and stroll to an almost deserted beach for sunset. Well .... we may have to share it with a few of the local inhabitants but I don't really mind. They really put on a show for us, swooping and preening and fishing. I took the above photo this past spring. For more Share the Joy Thursday, visit Meri @ Meri's Musings. They look very proud of their hairdos! This is a really neat photo! remember the movie, "City of Angels" with Nicholas Cage and Meg Ryan? how the angels meet on the beach to watch the sunrise? that's what came to mind when i saw this photo. just wonderful. I'm with Di, they sure do look pretty proud standing there. I love the photo. Renaa, how I just love your gorgeous photos! Love that last post so much - I'm smitten with Theo Thumper, adorable! What a great photo - it truly does express Joy! And I agree with your description of the word. My puppy Belle just exudes joy, too. I can't help but smile just looking at her! What a blessing! This picture gave me joy too. oh wow these are so cute. and i love the light in the shot. These little guys are so beautiful! Love how they are holding their heads and just soaking up the sun. gorgeous photo, light and detail are wonderful. I loved your words about Joy, perfect. Yes - this is so absolutely joyous!! How can you not smile when you look at these little guys!?!?! Isn't it so true, you take a photo you love and it gives you that "ah" feeling every time you look at it. Great shot, the lighting is lovely and your description of your time spent at this beach is lovely too. What magnificent birds! They look so regal. I totally identify with your feeling of looking at a really great photo you've taken and getting a rush of joy. . . joy that you captured something so well, joy at remembering the moment and the circumstances, and well -- just joy. 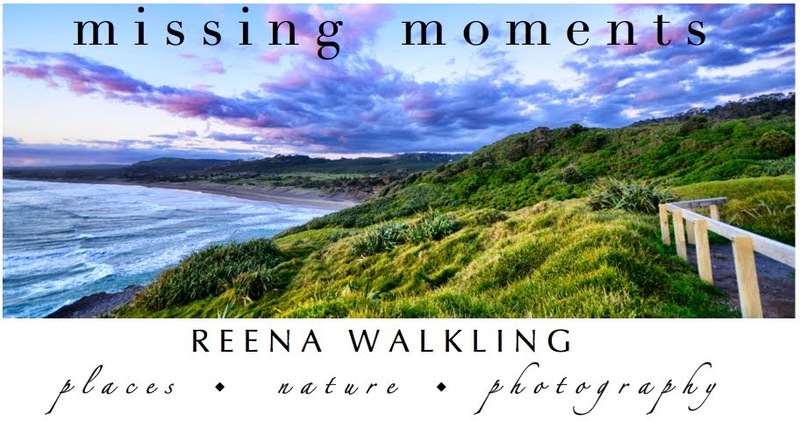 What a great photograph Reena. The light and composition are wonderful! What a lovely scenario to contemplate - wonderful post! What a great photo! I have heard of Ana Maria Island and would love to go some day. I hear there is fantastic shelling there. Thanks for sharing! The sunset has provided the perfect lighting. 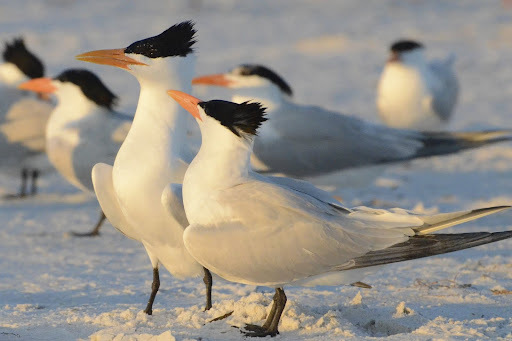 I love royal terns. We don't have them around here, so they are a special treat when we visit family in Florida. I have never had the pleasure of seeing one of these magnificent birds in person. I'm sure they must be a delight! I do envy their wings just a bit! Joy is indeed a beautiful word. And I love your photo Cute birds! What beautiful seabirds. I don't think I've ever seen one. Finding a deserted place to sip wine and sit by the ocean sounds so wonderful. this photo put a smile on my face too. it's so feel-good. I agree with Kamana, you've captured the light beautifully here. and I'm loving those top-hats on the terns. thanks for sharing your joy, it lifted me up. your description of the evening shared on the beached is delightful. Perfect caption for this wonderful photo! Those are beautiful birds! I've never seen any like that. of the coastal birds in Florida. that is my favorite beach too - Anna Marie Island - its' as if time stops there - we love eating at the sand bar -we are actually heading there for the 4th. it's a small blogging world! !